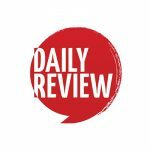 Clover Moore wants to slash red tape for small theatre performances | Daily Review: Film, stage and music reviews, interviews and more. Sydney’s Lord Mayor Clover Moore has revealed a plan to combat the impact of the NSW Government’s lockout laws on Sydney’s night time economy. Moore is proposing a significant overhaul of planning laws to allow retailers in the city centre and on high streets in surrounding areas to stay open until 10pm without development consent. Significantly for artists, Moore wants to cut through red-tape for small-scale arts ventures by allowing certain events, such as theatrical performances in disused shops, to be staged without formal approval or development consent. The discussion paper will reveal the criteria outlining which activities would fall under this umbrella and which will still require approval. Factors including location, hours of operation and capacity will be included in the criteria. The plan will also apply the “agent of change” principle to managing entertainment noise, meaning that new residential developments near existing entertainment venues will be responsible for building facilities that manage the noise of the existing venue. By contrast, new entertainment venues will be required to manage the noise pollution that they may cause to existing residential areas. “Unfortunately, the lockouts have had a serious impact on Sydney’s cultural life, businesses and our reputation overseas – and while areas like Kings Cross are safer, we know the balance isn’t right yet in terms of Sydney’s nightlife,” Moore says. According to Moore, the City of Sydney has already reformed significant parts of how the city operates at night. “We’ve led Sydney’s small bar revolution and introduced food trucks, upgraded taxi ranks and improved wayfinding, increased CCTV, developed (and are now implementing) a live music action plan, and funded late night ambassadors,” she said. The new discussion paper, “An Open and Creative Sydney”, will be considered by Council on October 23 and a consultation period is expected to follow from October 24 to December 13. The new plan is next phase in Moore’s plan to support cultural activity at night. “If approved by the Council, these reforms will be critical in helping to turn things around. People want to live in a city with a diverse and exciting night-time economy with cultural events and activities for people of all ages,” she said.